Hearing this story distrubed me too. 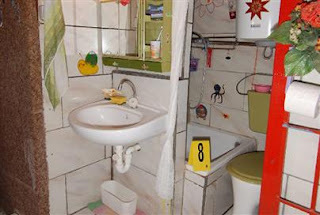 I saw it on BBC America news and they showed footage of the 'bunker apartment' that she was held captive in. The reports state that she was 'selected' by her father at age 18. How did her mother not know where she was for all those years??? No questions asked??? Very strange family if you ask me. I feel terrible for her and her kids too. Something they may never fully recover from mentally and emotionally. Some sick people in this world.